When one writes about the new Russian menace, Internet “trolls,” likely paid for by Putin’s authoritarian government, inevitably attack the writer. I t turns out that this is part of a sophisticated media and public relations operation that seeks to destroy critics of Mother Russia’s Commu-Fascist movement. Thus, unusually zealous online defenders of this nation’s regime should be taken with a grain of salt and a shot of vodka. 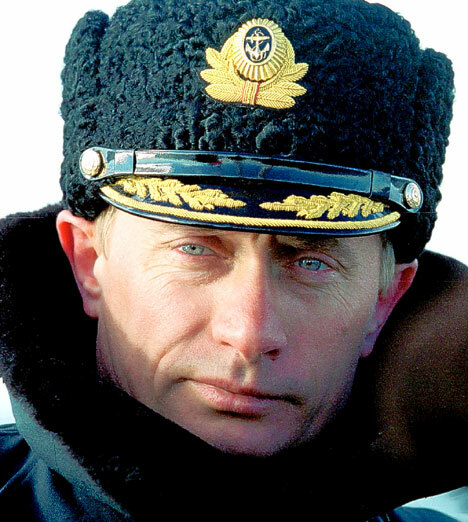 While much of the free world is focused on ISIS, by far the greatest threat to world peace and stability is Russia. This is an aggressive nation that tramples on human rights, while cowardly attacking its weaker neighbors. What makes this nuclear nation dangerous is that its leadership has a chip on its shoulder and seems to actually believe its own ridiculous conspiracy theories about the West. In an effort to restore lost glory and power – Russia has glommed onto a toxic nationalist-communist model with expansionist aspirations. In the Donetsk region of eastern Ukraine, the Supreme Soviet, as its legislature is known, is nationalizing coal mines and reviving collective farms. At parades, people wave hammer-and-sickle flags; school officials talk of reviving the curriculum to celebrate the triumphs of the Soviet Union. There is now a secret police force called the M.G.B., reminiscent of the K.G.B. Some rebels call it, only half-jokingly, the N.K.V.D., the notorious Stalin-era secret police force. At first glance, the demise of burgeoning freedom in the former U.S.S.R seems difficult to comprehend. A persuasive new book, however, makes the case that cunning K.G.B. operatives, including Vladimir Putin, undermined the modern Russian state. In her thoroughly researched, “Putin’s Kleptocracy: Who Owns Russia?”, Karen Dawisha argues that the moment the Iron Curtain collapsed a cabal of K.GB. leaders hatched a successful plan to destabilize and retake the country. With chaos enveloping a nation in democratic transition, these embittered spooks illegally transferred billions of communist party money into financial safe havens, such as London and Switzerland. As valuable state assets were later pawned at fire sale prices, these missing billions were transferred back into Russia, where these KGB conspirators bought them. This made these men and their friends filthy rich, and combined with leaders of organized crime, gave them unrivaled power. This financial influence was eventually parlayed into raw political power, in what was essentially a slow motion coup by the K.G.B. (Now the FSB) Once they controlled the political realm, these spymasters recreated a police state – using Orwellian, and often violent, tactics to snuff out a free and independent media. They also crushed civil society by registering organizations as “foreign agents” that dared to question the Kremlin or its corrupt allies. To give the appearance of moral authority to his stealthy putsch, Putin had a religious awakening and co-opted the Russian Orthodox Church. Putin’s embrace of Christian values suspiciously coincided with the church’s Patriarch, Kirill I, sporting a fancy Breguet timepiece worth at least $30,000. It also helps to explain Russia’s persecution of its gay citizens. 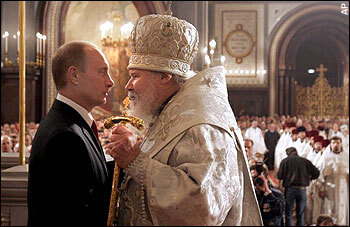 Putin will tow the church’s conservative party line, if the church in turn blesses his criminal actions. Today’s Russian “political technologists” make use of their state-owned media, including English-language outlets such as the TV news channel Russia Today or RT; armies of paid social media “trolls” who post on newspaper comment pages, as well as on Twitter, Facebook, and other sites; fake “experts” whose quotes can be presented with fake authority; and real experts to whom Putin’s officials have granted special access, or have simply paid. Using these different sources, the Kremlin began putting out messages designed not necessarily to make Russia look good, but rather to undermine the Western establishment and Western institutions, including the European Union and NATO. It is outrageous that Comcast Cable broadcasts RT. Comcast is essentially running KGB propaganda directly from the hand and mouth of Vladimir Putin. RT is designed to sucker liberals into degrading America, and snookering conservatives in believing Russia is the international savior for “family values.” In reality, both left and right are being used for Putin’s power grab – with Comcast blithely broadcasting the Red Revolution. Shame on all Americans who participate in this subversive scam. ** Learn More About Russia’s cynical attempt to manipulate politics and media: CLICK HERE.